Registration has closed on the second of three starting flights in the $500,000 Guarantee @WPTDeepStacks $1,100 Main Event and the board shows 215 total entries for this flight. Add this to the 100 entries from yesterday's opening flight and the field is at 315 entries going in to Saturday's noon start for the third and final starting flight. Play continues tonight to 11:45pm - the end of Level 15 - with remaining players at that time participating in the Bag-n-Tag to returns Sunday at Noon for the Day2Restart. 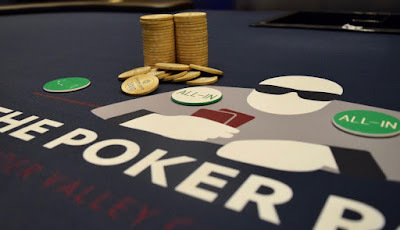 Day 1C begins Saturday at noon, registration and a single re-entry per player available until the start of Level 10 at 7:30pm.